Preservation of Community Assets: "The Rest Is History"
Today we are going back to the subject of sanctuary cities. This time, we going to look at the historic context of these jurisdictions. The best place to understand them is to step back in time to the Civil War-era. 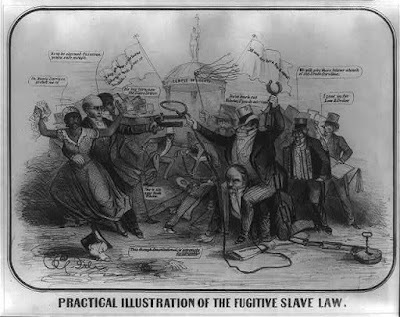 Just as contemporary American cities are opting out of enforcing immigration laws, prior to the Civil War, Northern states chose not to enforce the Fugitive Slave Act, a legal move supported by the United States Supreme Court. 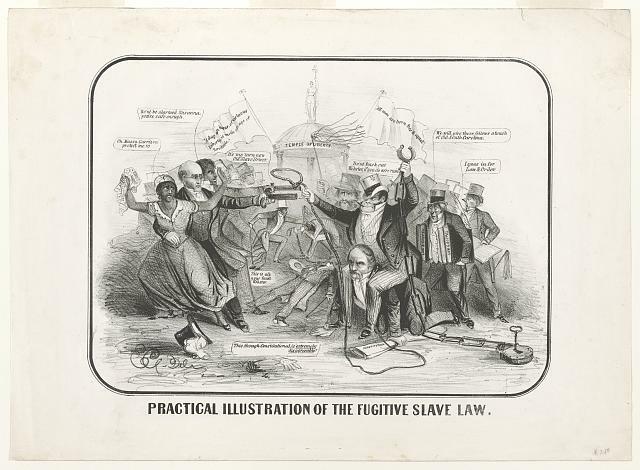 Tanvi Misra's CityLab article, "Lessons From the 'Sanctuary Cities' of the Slavery Era," offers an illuminating look how Northern cities defied law and gave refuge to Slaves, fleeing the Southern states, and what we can learn from this moment in history. Tanvi Misra writes, "In doing so, it launched the first counterstrike in what might a long, tumultuous battle between the local and federal governments on immigration." 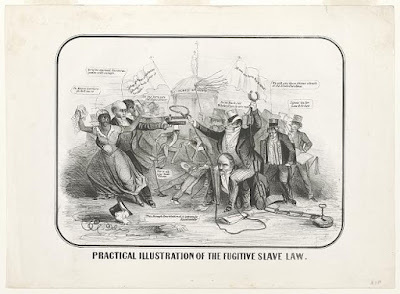 "Practical Illustration Of The Fugitive Slave Law"
For historian and writer H. Robert Baker, this conflict is all too familiar. 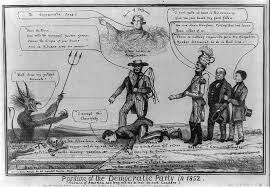 His February 2, 2017 blog post , "A Brief History of Sanctuary Cities," Prof. Baker provides a short summary of a similar moment from the Antebellum period, that may provide clues as to how this battle might play out. Are you beginning to understand the precedent in the challenge to President Trump's ill-conceived executive order? Constitutional law and Supreme Court ruling appear to be on the side of cities like San Francisco. Little more history. During the pre-Civil War-era jurisdictions that opted out of assisting federal law enforcement were not called sanctuary cities. The phrase comes from the sanctuary movement of the 1980s, when houses of worship provided shelter for refugees from Central America who were denied asylum. 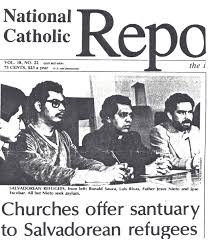 The sanctuary movement was a response to the Reagan-era restrictive asylum police, which supporters of the movement viewed as immoral. 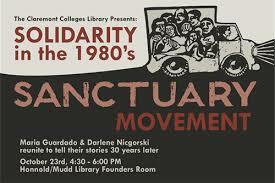 "Solidarity in 1980s Sanctuary Movement"
By the eighties, Los Angeles already ordered police officers not to check immigration status during routine stops. Surprisingly former Los Angeles Police Department Chief Darryl Gates, who was known for not being easy on minorities, believed that this move allowed undocumented immigrants to report crimes without fear of deportation. San Francisco enacted a 1989 ordinance forbidding the use of municipal funds for federal immigration enforcement. Other cities followed suit since 2008, when Immigration and Customs Enforcement began asking local law to detain alleged undocumented immigrants for additional time, even if they were not charged for a crime. Ms. Misra writes, "The constitutionality and legality of ICE's 'detainer' requests, which sometimes even target American citizens, have since been challenged in court." Regardless what the name implies, the current 300-plus sanctuary cities are not making an effort to prevent federal authorities from deporting criminals rather, they are just establishing their own priorities reminiscent of what the Northern states in the Antebellum era. The point of this history lesson is "...resolving the local-versus-federal fight may not necessarily end the political divide that caused it in the first place." 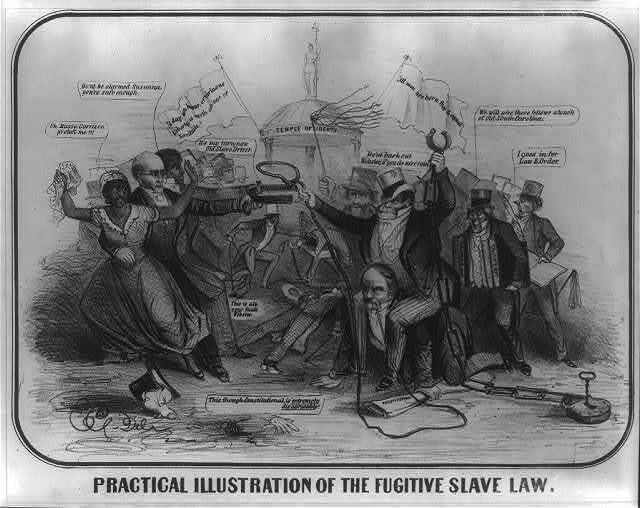 The decision in Prigg v. Pennsylvania allowed Congress to expand the federal mechanism to enforce the Fugitive Slave Act, fueling more resistance among Northern communities that federal authorities did not have the resources to put down. Citizens rioted, shamed slave catchers, and held mass protests outside places where slave were detained. In 1860, the Southern states seceded. As they say, "the rest is history."